Creamy Tobacco is a flavor whose development spanned across multiple brands, collaborations, and nearly three years. With the fusion of fresh strawberries and sweet jawbreaker candy, this dynamic flavor from Solace Vapor will give you an irresistible jolt of euphoria with every exhale. Mango is a fresh, tangy, and sweet natural mango flavor. Everyone's favorite peach ring candy accentuated with hints of sweet mango. Dragonthal is a sweet and delicious dragon fruit infused with crisp, cool menthol. Mint is both refreshing and savory, a touch of cream has been added to balance out the blend. True to its name, your favorite mint chocolate candy is now vape-able! Peppermint Patty from Solace Vapor is just the right amount of mint, blended with creamy and smooth chocolate. 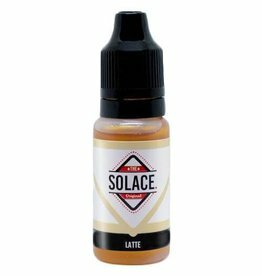 Solace Vapor SALTS introduces Vanilla Bean, an ode to the classic vanilla bean ice cream, now as an E-Juice flavor! It is an ideal flavor for those hot summer days where you want some to refresh and stimulate the senses.